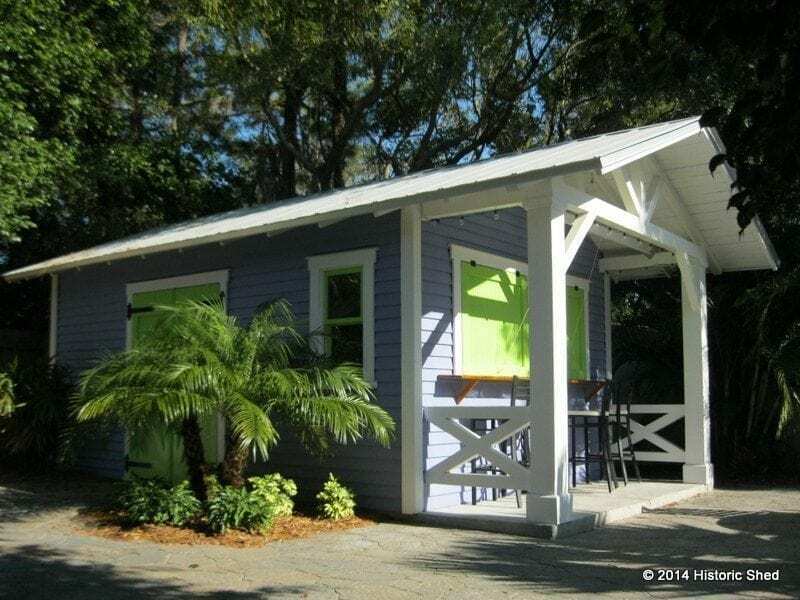 The shed that gets the most "oohs" and "aahs" when we are out at shows is definitely the Snack Shack we built in Palm Harbor a few years ago. Painted in fun colors, it conjures up sunny days with umbrella adorned drinks in hand. 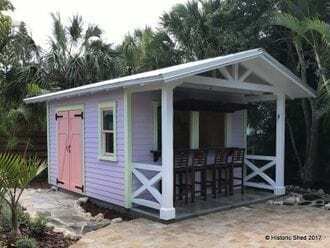 With our latest Coastal Breeze Snack Shack, I think we have another ideal tropical back yard, and this one is available as a vacation rental.